Weddings are sure fun and exciting but they can also be a little stressful! From picking up those perfect outfits, to jewelry, shoes and what not, right? In all that wedding buzz we bring you some trending looks for this wedding season. You need to leave your basic smokey eye look and try out Halo or spotlight eye makeup! This technique uses strategic shadow placement in order to fake the appearance of larger, rounder eyes. Basically, what you want to do is “sandwich” a very light color with a darker color on both the upper and lower lids. It looks stunning on almost every eyeshape. 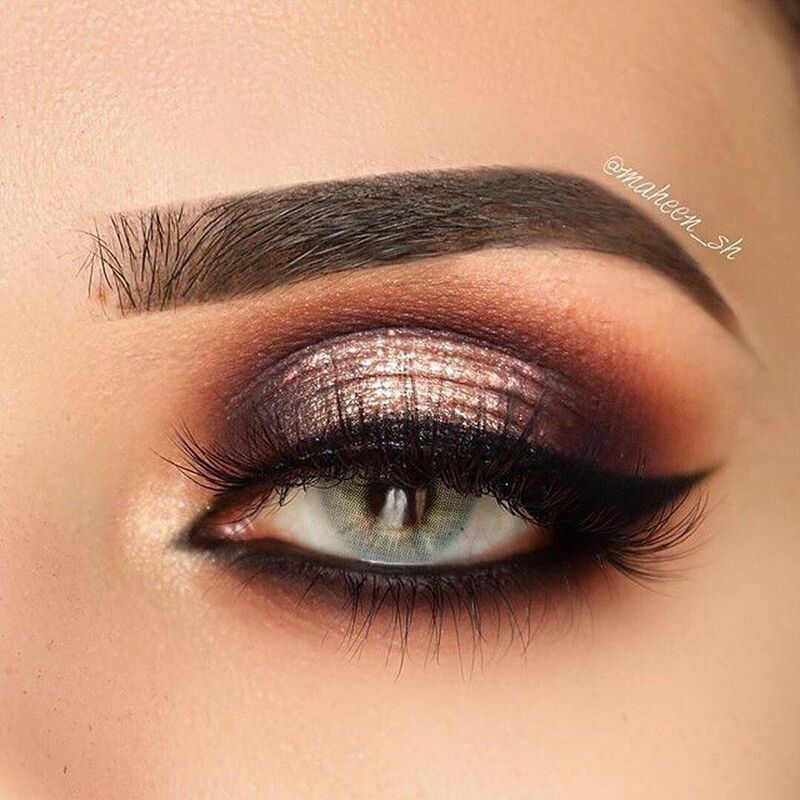 As fall season is just around the corner, try bold metallic eye shadow looks, they make your eyes stand out that you literally don’t have to put extra effort with the rest of your makeup. Don’t be afraid to go all dark and bold since it’s the perfect look for fall. We recommend you this perfect palette by Urban Decay. Click HERE to shop! Flushed cheeks add more warmth to your skin as if you were out in the sun. With all the heavy eye makeup look and bold lips you don’t need to go all loca on the blush too. Keep it natural to make your whole makeup look a little subtle. To shop a perfect cheek and lip tint, Click HERE to shop! Are you tired of keeping you hair straight? It’s time you guys try out this new trend that looks totally fabulous on every body. Instead of keeping your hair all straight like every time, try out beachy waves on your hair. You can make half french braid to make your front look a little presentable and leave the rest of your wavy hair open. Waves give your hair a volume which is the perfect reason to make your hair look gorgeous. You can even add in a few extensions to give your hair more length and volume. To shop hair extensions, Click HERE! You probably know that this sleek hair trend started from none other than the famous Kim Kardashion. Weddings are a perfect reason to try out new trends. Sleek bun with middle parting looks very sophisticated and chic at the same time. And the best part is you don’t need to spend hours doing your hair. It’s one of the easiest yet classy hairstyles out there. There you guys go! Try out these trends and get ready to rock the perfect wedding look.